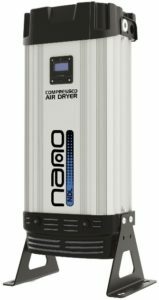 Compressed air dryers have become an integral part of most compressed air systems today. They help prevent product spoilage, equipment malfunction and system failure. Although they are an important piece of your compressed air system, it’s easy for them to be overlooked until a problem arises. Here is a short list of items to keep an eye on to ensure your downstream air is clean and dry. Temperature Checks – Ensure the inlet and ambient temperatures are within the acceptable ranges for your specific dryer. 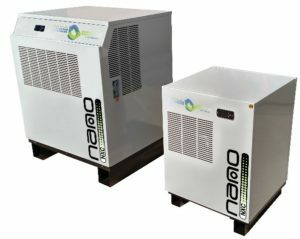 Condenser Coil – With an air-cooled dryer, it is important to clean off accumulated dust and dirt monthly, and in dirtier environments, remove debris every two weeks. Water cooled units usually have a strainer that needs to be inspected and cleaned monthly. Moisture Separator / Coalescing Filter – Should be checked monthly to ensure proper operation. If equipped with an internal element, it should be replaced at least annually or when the pressure drop becomes excessive. Condensate Drain(s) – Should be checked daily to ensure the condensate is being discharged from the unit. Most electric and zero loss drains are equipped with a test button. If a standard internal float drain is being used, it should be replaced annually. First and foremost, desiccant dryers are pressure vessels. Make sure all safety procedures are followed when inspecting or servicing this type of equipment. Always de-pressurize before servicing. Coalescing Pre-filter – Removes any remaining oil and water aerosols before the air hits the desiccant bed to prevent saturation and oil contamination. Check the drain mechanism on this filter daily. The element should be replaced every 6-12 months. Particulate After-filter – Prevents downstream air system from being exposed to desiccant dust. Element should be changed at least every 12 months. 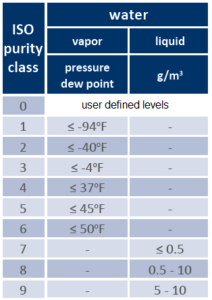 Desiccant – Should be replaced whenever the required dew point can’t be maintained if operating conditions are correct and there are no other mechanical issues. Desiccant life is determined by the quality of the inlet air. Installing and maintaining a proper Coalescing Pre-Filter will extend the life of the desiccant. Purge Mufflers – Should be checked regularly and changed annually. Desiccant dust can clog muffler elements over time, creating back pressure and restricting purge flow. 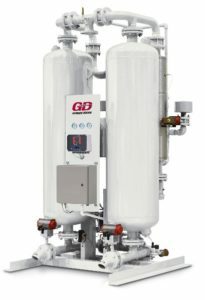 Valves – Every “adsorption” type desiccant dryer is different in design, but they all have to switch towers and regenerate during normal operation. Always inspect the switching valves and purge valves for proper operation and follow the manufacturer’s guidelines on preventative maintenance for these valves. If you need help maintaining these or any other parts of your compressed air system, we are here to help. From training your own personnel, to full maintenance contracts, we welcome the opportunity to be your partner is success. Contact us today!